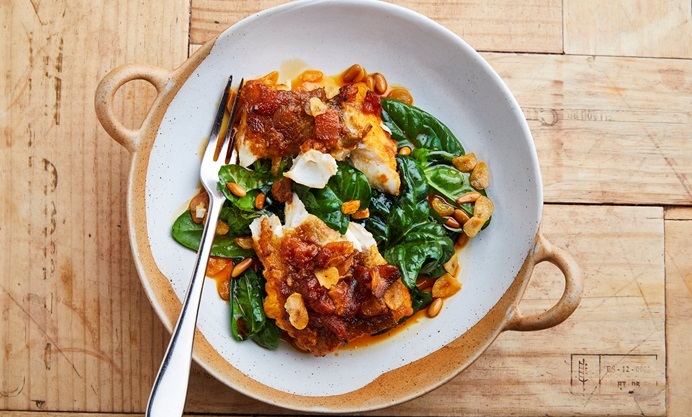 José Pizarro's stunning fried Norwegian cod loin recipe is cooked with a heady pimentón oil for a slightly smoky, spicy flavour, served on a bed of spinach with plump raisins and pine nuts. 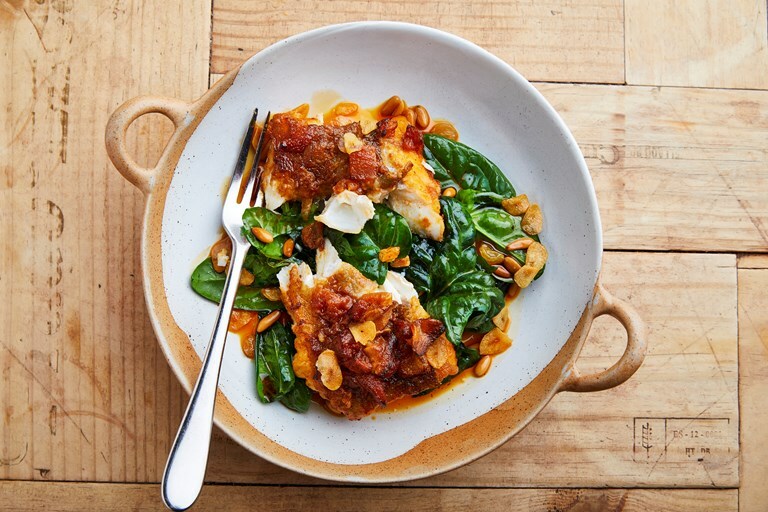 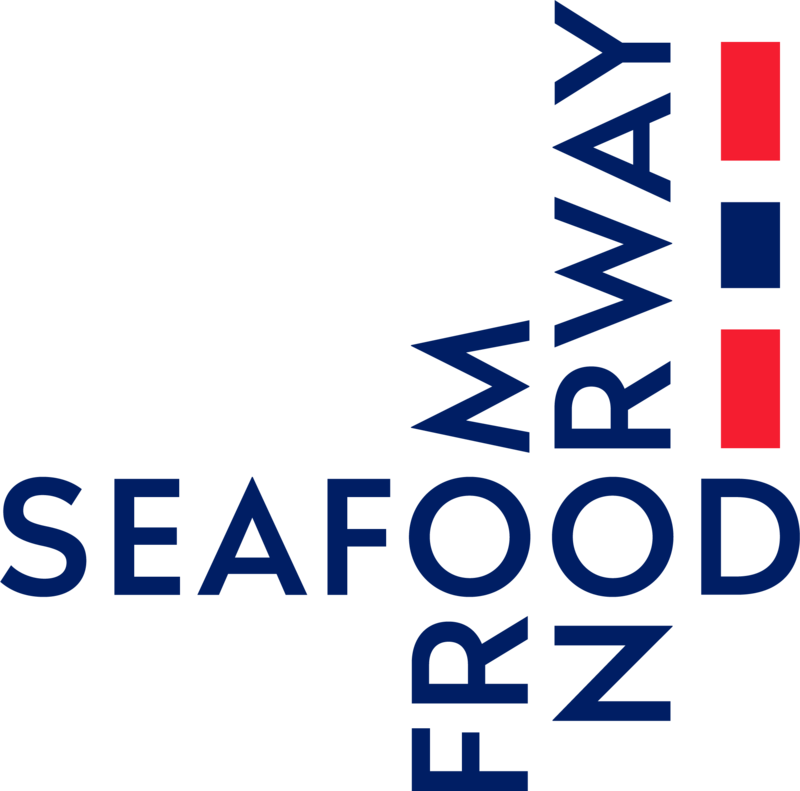 Curing the cod with salt before cooking results in a slightly firmer texture, ensuring perfectly flaky fish. 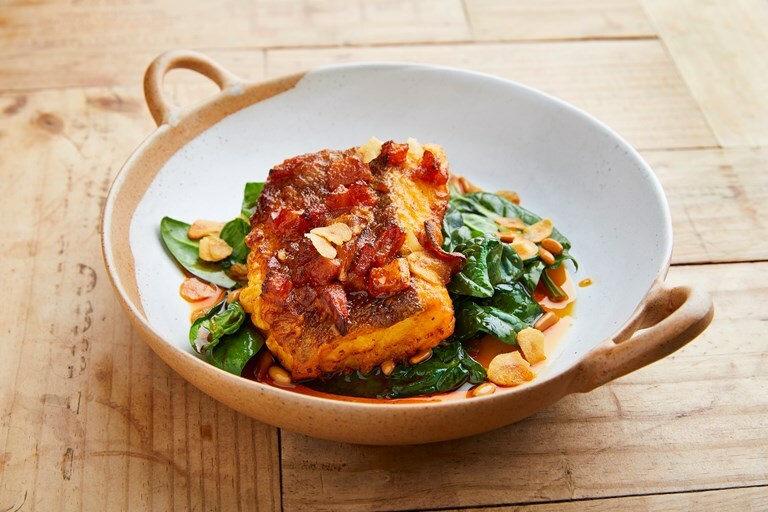 With a focus on simple, authentic Spanish cuisine, chef José Pizarro has been at the forefront of bringing true tapas to London.